This allegorical portrait of Ulisse Aldrovandi can be seen in the recently opened Museum for the History of Bologna (Palazzo Pepoli, via Castiglione, 8)1. 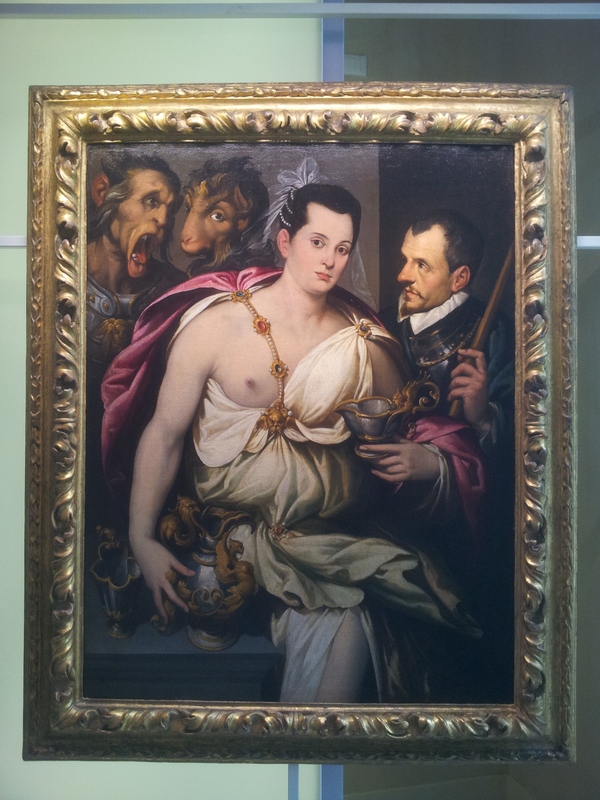 This oil-on-canvas was painted in 1575 by Bartolomeo Passarotti and it represents the physician with the mythological witch Circe and two monstrous creatures symbolizing the link between the animal and the human world2. 1. 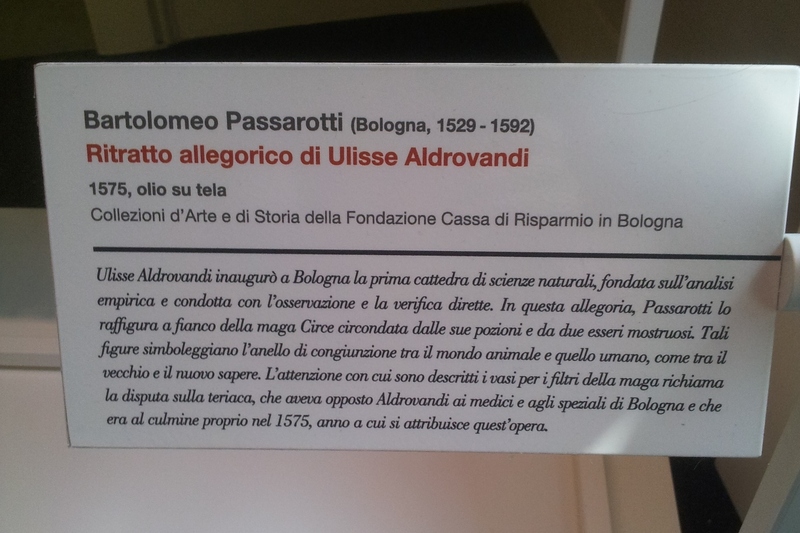 More informations at the Museum's official website. 2. 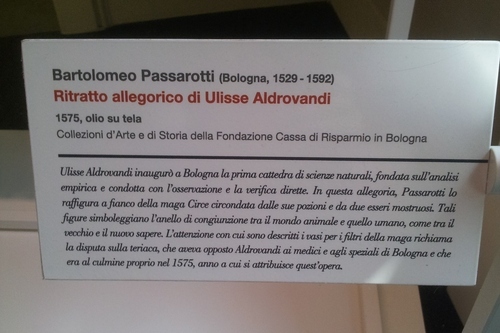 Informations retrieved from the Museum's label.